Posted August 3, 2013 by admin & filed under . A warm welcome to the Armstrong Optical website. We offer a wide range of optical metrology, imaging products and systems to a diverse array of industries with an even broader variety of applications. Please browse our various product pages and if something catches your eye feel free to download the appropriate PDF. Alternatively, email or visit our contact page or call the number at the top of the page and we’ll be happy to discuss your application in the strictest confidence. Founded in 1997, Armstrong Optical Ltd. is a specialist supplier of optical metrology instruments for both R&D and production. 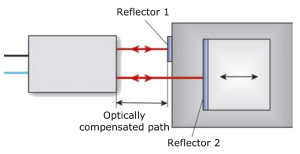 This includes interferometers for measuring shape, distance and thickness and instruments for MTF, optical centration, focal length and most optical parameters. In addition we supply chromatic confocal sensors and controllers and custom optical / mechanical assemblies. We are partners in the UK for Trioptics, SIOS, Precitec Optronik and Optical Perspective Group. (See all our Suppliers here). Precitec Optronik is the specialist for laser material processing and optical measuring technology. 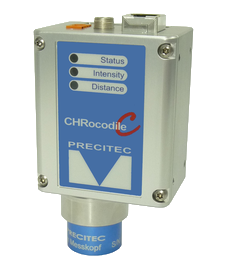 The wide range of CHRocodile sensors utilise several distinct techniques to perform high speed distance and thickness measurements. Chromatic confocal and interferometric methods are used to measure nearly all surfaces. Various white and infrared light sources are available to extend the ranges of materials that we can measure. Optical Perspectives Group designs and manufactures Optical Alignment and Optical Inspection Instruments that make it easy to maximize the performance of optical systems. We are happy to offer either individual systems or complete tailored solutions to specific requirements and welcome as much dialogue with our customers as possible. So please feel free to contact us at any time either by phone or email. More information can be found here or by clicking on the product image above. 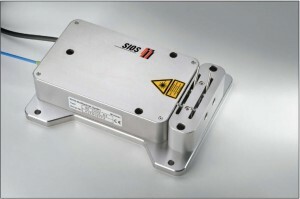 The Differential Laster Interferometer SP-DI Series offers extremely high long-term stability, achieved by measuring relative motion between the measuring point and a fixed reference point. It provides differential length and angle measurement with the highest accuracy, minimising environmental effects. The sensor head is made of stainless steal as standard. More information can be found here or by clicking the product image above. The image on the right shows the CHRocodile C on a custom stand, measuring the thickness of a glass wafer. CHRocodile C is specially suited for industrial inline use and easily integrates into any kind of inspection machine. More information can be found here or by clicking the left-hand side product image above. 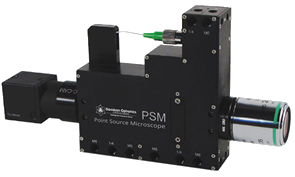 The Point Source Microscope enables optical alignment by detecting and locating optical features on the micrometer level and then relating them to mechanical fixtures, datums and features such as steel balls. The PSM is also valuable for aligning aspheres and off-axis aspheres by using the aberrations aspheres produce when they are misaligned. In addition to its use for alignment, the PSM is useful for incoming inspection for radius of curvature, focal length, figure errors larger than 8th wave and centring errors. We issue e-Newsletters on a regular basis informing interested parties of our new products and services and news items such as exhibition attendance.